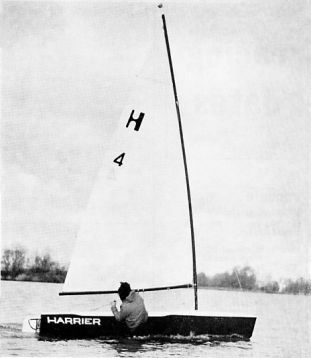 The Harrier dinghy was commissioned by Lancashire businessman and OK sailer Harold Smith in 1972. 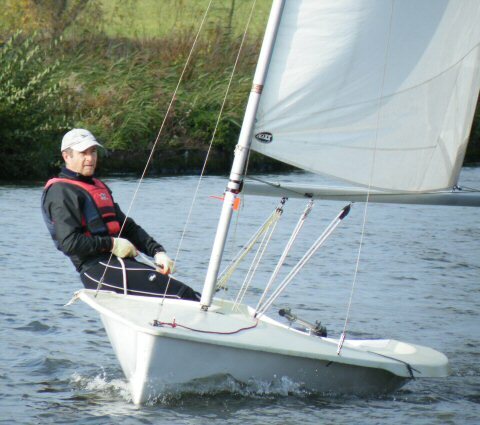 He felt he was getting too old for his OK, and so he asked me to design a fast and responsive singlehander which was stable, powerful and easy to handle. 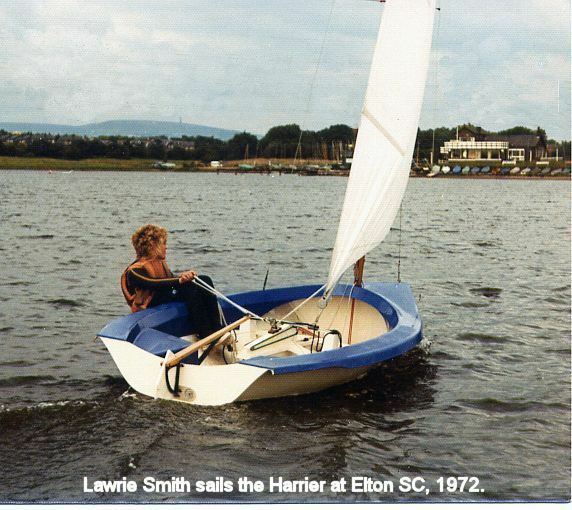 He set up a company to market the boat (Delta Dinghies Ltd) and the class had some success in the mid 70s, until 25% VAT and the Laser dinghy caused production to cease in about 1976. About 70 boats were built. HARRIERS TODAY.A Harrier fleet briefly flourished at Whitby in recent years. 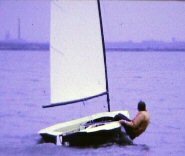 Click on the picture to see a movie of Patrick Blake sailing my Harrier at Pennington Flash, Leigh, Lancs, in the autumn of 1972. © This site is the copyright of Keith Callaghan. This page was last updated on 24 February 2012 .